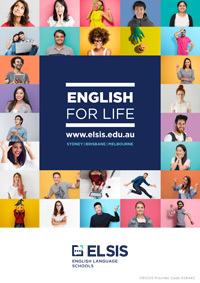 You can test your English level using our Online Placement Test. Test yourself to get an idea of your current English skill level. This online test is for self-assessment only, the official English Placement Test must be completed on campus under supervised test conditions. You can take the test once only. Before starting the test you need to provide your full name, email address and phone number in the space below. Once completed, you will receive an email with your results, please keep this email if you wish to join our courses. Mark lives in Australia. ______________________ an English teacher. Jose is from Mexico. His native language is Spanish. He ________________ French. _________________ a big breakfast every morning? John is coming to see you, __________________? In England ____________________ time of the year is usually from December to February. ___________________ with a foreign family is a good way to learn English. We _______________________ live in a small village, but now we live in London. Somebody ___________________ all the chocolates. The box is empty. John is a tennis player. He _______________________ since he was 10 years old. When we got home last night, we found that somebody __________________ into the flat. The movie was very ______________________ so I slept through it. If I see Sarah at school today, I _______________ her to call you. If I were rich, I __________ travel around the world. There’s somebody walking behind us. I think we are ____________________ . I’m interested in ___________________ more about that case. I went to see the doctor because I’m finding it difficult to sleep at _______________ night. Thomas Edison, _____________ was American, invented many things including the light bulb. John’s coat is still here, he ___________________________ left the office. My bicycle, _________________________ I’ve had for more than ten years, is falling apart. Don’t forget ______________________ off the lights before you leave the house. She said she didn’t really fancy ______________________ to the cinema. The company is going to hire a famous actress to ______________________ their new range of beauty products. Read the following text and choose the correct answer (Questions 25, 25, 26, 27). Even though gold was discovered in Australia as early as 1823, it remained a secret. Government and business were worried that if workers knew they could find gold they should leave their jobs and rush to the gold fields, and this would also lead to an increase in crime. In 1849, gold was found in California, and people rushed to the USA from all over the world to try and make their fortunes. In fact, so many Australians left that some people thought the colony might collapse due to the dwindling population. To try and overcome this problem, the New South Wales government offered a $20,000 reward to the first person to find gold in its territory. Edward Hammond Hargraves returned to Australia from the Californian gold field and immediately set out to earn the reward. He travelled west of Sydney, over the mountains, to a small place called Summer Hill Creek. He realised that the land in this area was similar to that around the rich goldfields of California. He used his pick to scratch the gravel and when he had a pan full, he washed it in the waterhole. He found little pieces of gold at his first attempt. Within months other gold strikes were reported and gold fever swept the land. People flocked to the goldfields. Some Australia cities and towns began to look deserted. Businesses came to a standstill, houses were left and some schools were even closed. All members of society felt the impact of the gold rush. As news of the first discovery spread, people from all over the world came to Australia seeking gold. In Victoria alone, 67,000 people arrived in the last six months of 1852. To begin with, these miners lived in tents or simple huts. Eventually, however, towns built up around the goldfields and life became more comfortable for the more successful miners and their families. By the 1850s, Ballarat in Victoria became the richest goldfield in the world. Adapted from: Discovering Australian History, 1996, Eshuys, guest and Phelan, Macmillan, South Melbourne. The Australian gold rush __________ . Initially the government did not publicise the gold finds because it __________ . The Australian gold rush, __________ . Microwave popcorn is a convenience food intended to be heated in a microwave. In addition to the dried corn, the bags contain cooking oil, salt, and other flavorings. The folded bag is placed in the microwave, and, because of pressure from the heated kernels, it inflates. The design of the microwave popcorn bag was patented by General Mills in 1981. Although microwave popcorn may be a convenient way to enjoy a salty, tasty snack, popcorn is far more fresh and crunchy when popped the old-fashioned way—in a pot on the stovetop. Microwave popcorn is fresher than the old fashioned pot on a stovetop. Microwave popcorn is not easier to prepare than the old fashioned pot on a stovetop. The writer describes how to prepare microwave popcorn. You have 10 minutes to answer questions 33 and 34. Please click on SUBMIT to complete the quiz. After submission, you will be redirected to your result page. In addition, we will send your result to your nominated email address.